Every dragon, at least on our planet, has a personal groombug--a globular little critter that earns its keep by grooming its host dragon and providing companionship. I called my groombug Tweekie. 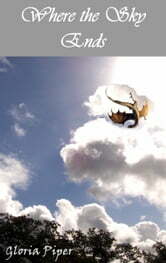 Together, Tweekie and I tried our best to teach a crippled sister dragon to fly--until we ran out of sky.